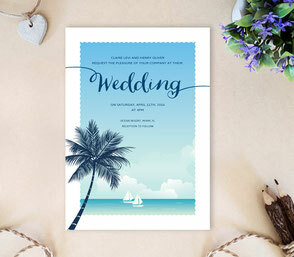 You make your life commitment as waves caress the sand and the wind softly kisses your cheeks. 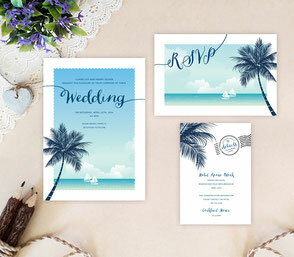 Our destination wedding invitations will inform your guests that your ceremony will be a most unique one. 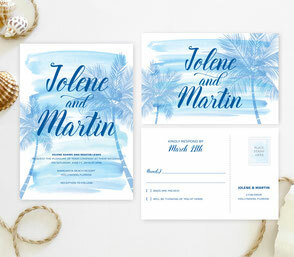 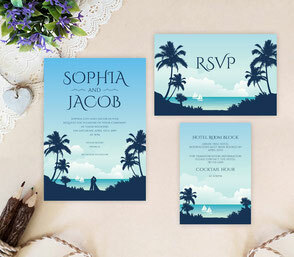 Choose Hawaiian wedding invitations if that is your destination, or tropical wedding invitations that can match any tropical beach in the world. 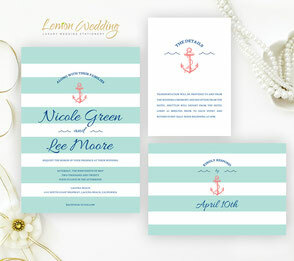 We have also created nautical wedding invitations that match any ceremony held by the water, regardless of time of the year and location. 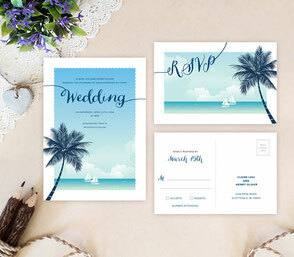 Your destination wedding invitations will be exclusive, beautiful and make you almost be able to smell the refreshing sea breeze emanating off the card. 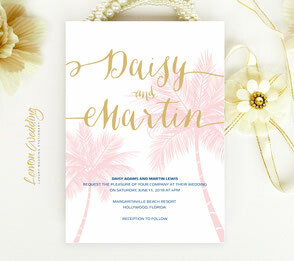 All invitations printed on luxury shimmer card stock. 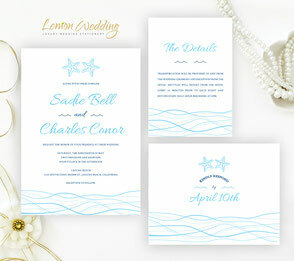 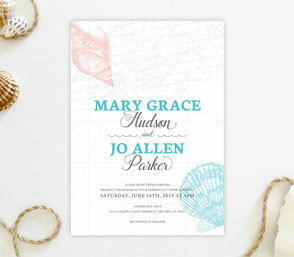 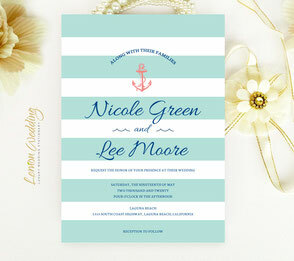 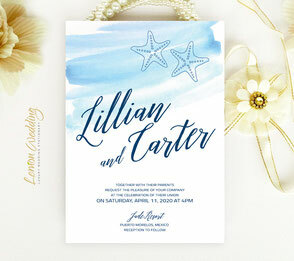 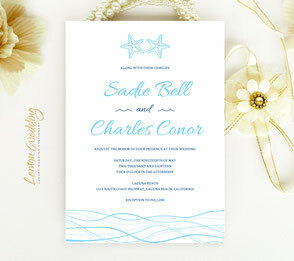 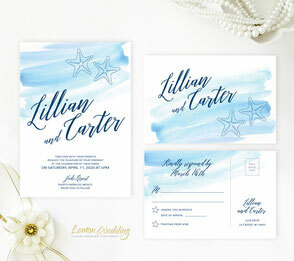 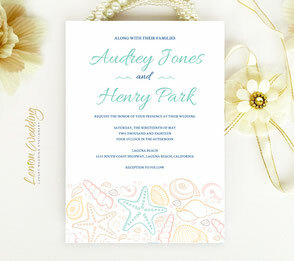 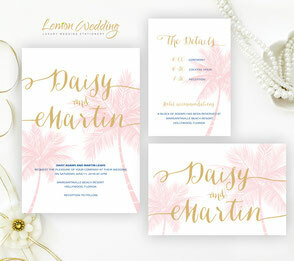 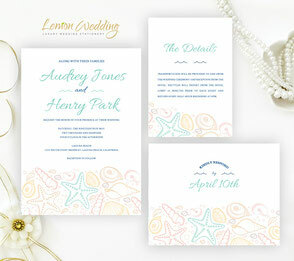 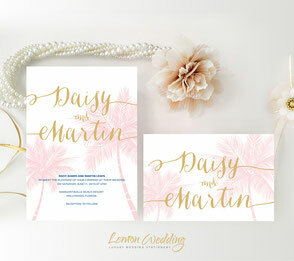 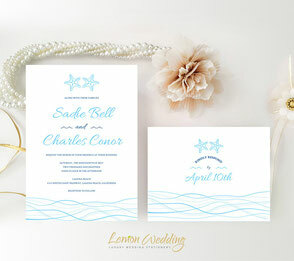 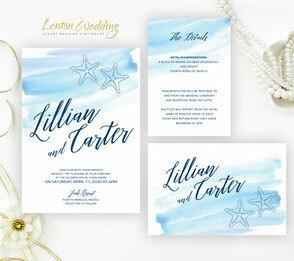 Once you’ve set the date for your beach wedding, let your guests know with our Beach Themed Wedding Invitations! 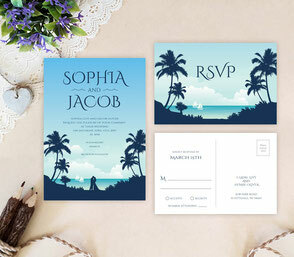 I received my wedding invitation sets on time as stated by the seller (I live in New Zealand). 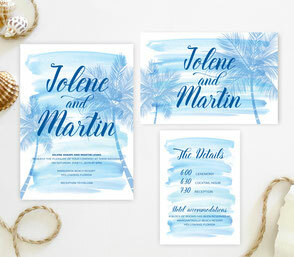 After weeks of shopping for an invite that my heart related with I found this and fell in love with it. 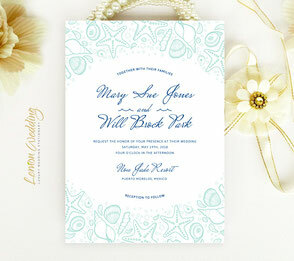 The quality was good, the envelopes were high quality too (and not your usual simple envelopes). 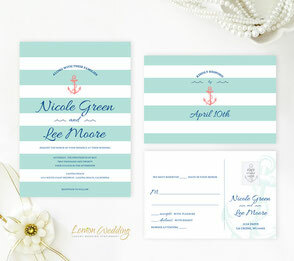 I would've loved it if both cards were the same size (so it doesn't get missed when someone opens the envelope) but the seller does state they are different sizes- overall I am happy with the purchase and it was a wonderful surprise opening the box and finding a little extra gift inside which was something we were thinking of buying as well, but weren't sure where to get it from !!! 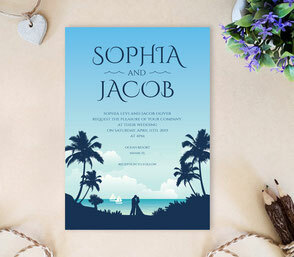 :) Would recommend and use again. Thank you Lena. 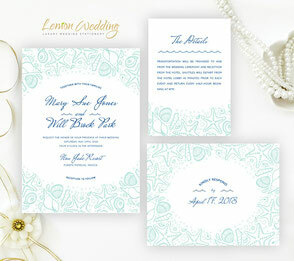 They came out gorgeous! 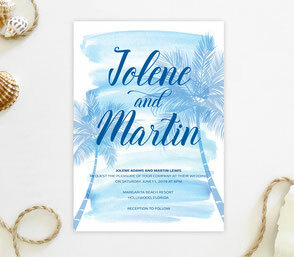 Could not be happier with them. 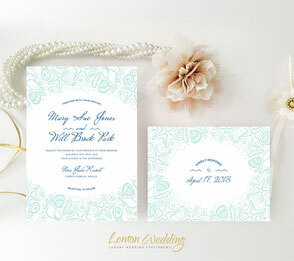 Thank you so much for doing such a beautiful job. 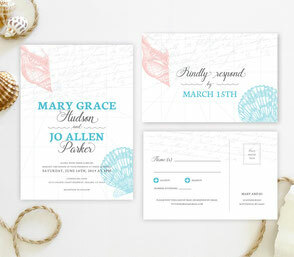 I would highly recommend anyone to use this company!